In our editing and reviewing service, you will get one-on-one reviewing and editing service from one of Gateway2MBA’s seasoned professional editors and MBA admission consultants, who have mastered the art of business school admission essay and personal statement writing. Have the questions been answered properly? Are the essays meeting the requirements of the specific school? Is there consistency between the answers? Have you used specific examples and numbers to substantiate your claims? Are the anecdotes suitable for MBA admission essays? If you have multiple anecdotes for a question and you are struggling to choose one; then, we will help you to choose the best anecdote for your MBA essays depending on your profile and school's values. Have you exhibited all the expected skills through your anecdotes? Are the thoughts well organized, logical and error free? Are you repeating information presented elsewhere? Are your essays interesting to read and has the ablity to engage the reader? Do the essays together present any unique selling point? Editing: Our editors will enhance your essays with a focus on the following area. Structure and flow: Structure and flow of information are vital in the MBA essays. Our editors will work extensively to develop the best structure for your MBA admission essays. Spelling, grammar, punctuation and usage: Our editors will edit your drafts to ensure that your essays are written in the active voice and 100% free from technical writing errors. Word limit: Presenting everything you want to say within the word limits is challenging. Our editors will work with you to optimize your essays without compromising with the quality and effectiveness of the contents of your MBA admission essays. You will get the best possible essays within the prescribed word limit. Phrases and keywords: All the Gateway2MBA editors are MBA, well-trained and have mastered the development of MBA essays by reviewing and editing hundreds of admission essays. We know what type of contents and phrases are appreciated by MBA admission committees. During the editing we add those keywords and phrases, while ensuring that your essays are original and engaging. The initial iterations will be mainly reviewing and will be aimed to present the best of you. The subsequent iterations will be for editing and polishing the essays. Your essays will be proof read by a second editor to ensure all your essays follow the best practices of MBA essay writing. If you have not prepared your first drafts and need help in developing your thoughts, your editor will provide you additional support for brainstorming, without any extra charges. Unlimited iterations until the essays reach a mutually agreeing satisfaction level. 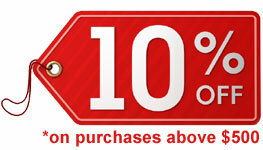 Bulk discount of 10% on purchases above $500. 10% discount on resume and recommendation letter critique services. Gateway2MBA reviewing and editing services are highly value adding and competitive. Please visit our Why Gateway2MBA?, Frequently Asked Questions and Client Testimonials pages to learn more about our services. You can buy our MBA Admission Essay Reviewing and Editing Service Packages through Paypal secured payment gateway. All major credit and debit cards are accepted by Paypal. Before paying please ensure that there is at least seven working days to your submission deadline.